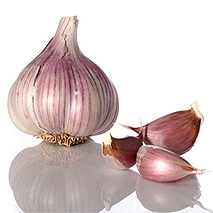 Garlic (Allium sativum), is a species in the onion family. Its close relatives include the onion, shallot, leek and the chive. 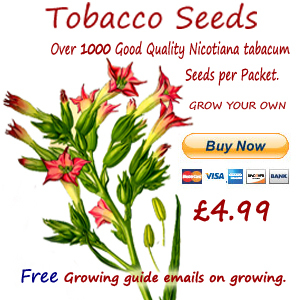 It has culinary and medicinal purposes with the bulb of the plant being the most used part. The bulb is made of sections known as cloves. Garlic is grown from individual Garlic cloves. Each clove will produce one plant with a single bulb - which may in turn contain up to twenty cloves. Growing garlic is therefore self-sustaining. When planting garlic, choose a garden site that gets plenty of sun and where the soil is not too damp. Adding a little organic matter a month or so before planting can help cure this if it’s a problem. The cloves should be planted individually, pointed part upright and about an inch (25 mm) under the surface. Plant the cloves about 4 inches (100 mm) apart. Rows should be about 18 inches (450 mm) apart. Poor weather conditions often mean that spring planted garlic produces smaller bulbs. Spring garlic planting can produce good results in the warmer Southern areas where it is often planted in late February or March. This also removes some of the chances of the plant being damaged by the winter cold. In more Northerly areas it more common to plant garlic towards the end of the year. The single clove will split into bulbs as a reaction to the cold soil. It is usually planted between mid-October and late November depending on your local climate. Garlic is generally hardy, however it can be damaged if the temperatures are very cold and the snow cover thin. If this is the case, cover the garlic with straw to protect it.